There is nothing more frustrating and misguided than for a Christ-follower to live to be good. As Lewis poignantly articulates, every attempt reaffirms our inability to do so. It isn’t that we should act recklessly sinful – not at all. But when we are so caught up in being good for goodness’ sake, we miss the point and stop living. This is my biggest beef with most televangelists (other than their hairstyles, fake tans, ridiculous clothing, obnoxious jewelry, flamboyant sets, immoral money-inducing methods, etc.). Inherent in all the ‘name-it-claim-it’ Christianity is a subtle, unspoken and frequently undetected rejection of the Gospel, because ‘blessedness’ hinges on my ability to be good enough, honorable enough, faithful enough, and a whole laundry list of other ‘enoughs’ I will never have enough of! Listen, if God’s love were determined by your ability to perform, then it wouldn’t be love. Would it? Stated the other way around, if your resolve to be honorable is for the purpose of being blessed, how could you claim honor in that? We weren’t called to be good. There is nothing fulfilling in self-preserving ‘goodness.’ That is all about ‘me.’ It is born of fear and a refusal to believe that God could actually love us before we had time to clean up. We weren’t called to be good – We were called to be His. He already knows us intimately and sees us as we are. The scriptures teach that God will bring all the goodness of His own presence out of us that He intends in His own time. In the mean time, we have been freed from condemnation (Romans 8:1). There are no qualifications on love and adoption. I hope you heard that. In Jesus, God the Father has loved us in eternity, and through Jesus’ work, He has adopted us in time. We are His because He wanted us. Period. No qualifiers. And God wants us to live in this reality – with passion and joy, vigor and mission, imperfection and assurance. Rather than to expect perfection out of His children, God provides grace – Grace for the obvious, and grace in the secret places – Grace for the entire journey. Grace for the things we will always wrestle with, and grace for the things we’ll never overcome in this life. Grace for our relational struggles, and grace for our inner conflicts. Grace for our past sins and indiscretions, and grace for our future failures. Living in God’s grace is humbling – It informs my heart that even my best motives are laced with sin, but covered by the blood of Christ. And grace brings pleasure to the Father in spite of my simple yet imperfect attempts to obey. Grace is offered – not so we can freely rebel, but so that we won’t be impeded by pride, ungodly shame and paralyzing guilt while we live in the reality of our new identity in Christ. And astonishingly, as we live in this reality, we also serve as gracious ‘markers’ for others on the journey. Friends, take heart. It isn’t us. It is the news that is good. That was really good Mike, thanks. 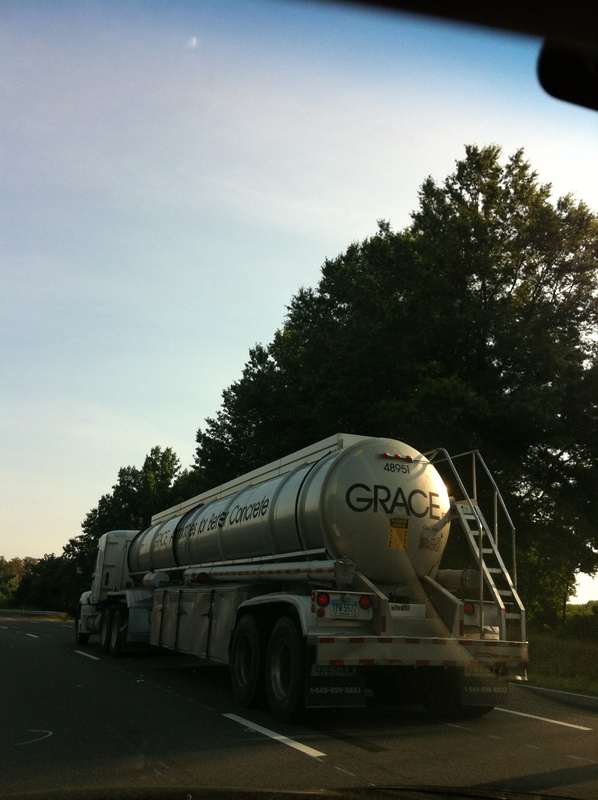 You are currently reading Grace for the Journey at unfinished1.